insureFLEET is a specialist broker providing great rates on fleet insurance for cars, vans, HGV’s and more. 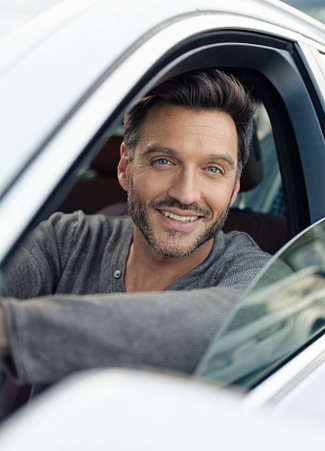 Whether you have three vehicles or more than a hundred, we’re confident we can save you money. Get in touch with us today! At insureFLEET, we offer fleet insurance policies at competitive prices, with introductory discounts available. We’ll search our panel of leading UK insurers to find the cover that’s right for you. We have excellent working relationships with the leading UK fleet providers. Policies can be tailored to suit your needs and can include optional extras. All you need to do is leave us with some details and we’ll do the rest of the work; we’ll shop the market on your behalf. Our fleet insurance specialists are highly experienced in providing cover for all types and size of vehicles as well as all types of industries and trade. We can also provide fleet breakdown cover, GAP insurance and replacement vehicle cover. Covering all of your vehicles under a single fleet policy will save time and money and with a variety of different options available. You can feel confident that you have the correct fleet insurance for your business’ needs. As a broker, we have access to exclusive rates and desirable extras that may only apply to us. To get a free fleet insurance review, call us on 0333 202 3173 or fill in our quick quote form and we’ll call you back with our best price. Lastly, our customer satisfaction is at the top of our priorities so, you can rely on us for a first class personal service. Just a quick note to thank County insurance for their excellent service and in particular Marian who unlike many other Insurance Sales people actually made life simple and looked for a viable solution for first time fleet Insurance for our business. Thanks for finding a solution. I have been dealing with Matthew Wood over the last week or so regarding fleet insurance. I just wanted to make you aware of how fantastic he has been, his customer service skills are some of the best I have ever come across. He has made the whole process for me so simple and has always been at the end of the phone with any question I have ever had. Your all round service has been exceptional; efficient and effective response to all my questions and the incredibly competitive price you sourced for our fleet insurance was highly commendable. Just a quick email to say thank you to one individual who assisted us immensely with our fleet Insurance last year and again, on renewal, this year. His friendliness and prompt efficient attention was one of the reasons we chose to renew our policy with you this year. Please pass on our thanks.